As well as being a stunning holiday destination, North Wales has the local ice creams to match, writes David Rothnie. As a popular tourist destination, North Wales has long been known for the its ice cream with names like Fortes and Parisellas of Conwy having established a presence back in the 1950s. 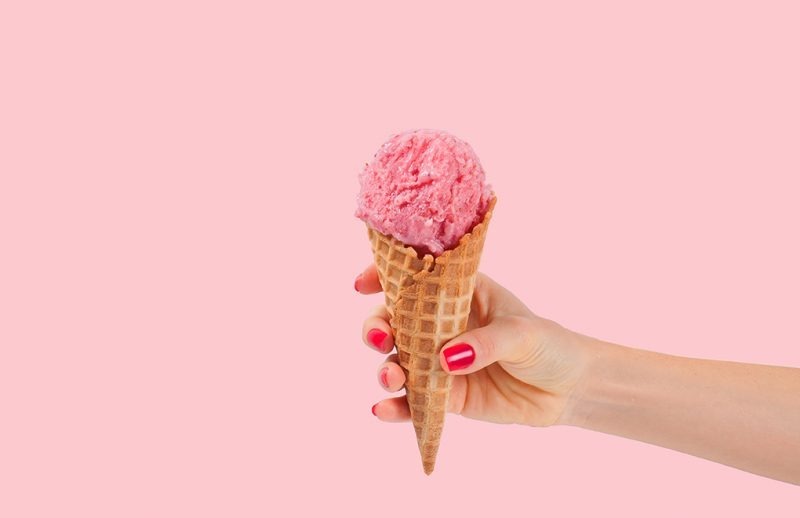 But recently, as consumer tastes have shifted towards buying locally-sourced produce, local ice cream makers have moved with the times and the traditional ice cream parlour is enjoying a renaissance. Made with world-famous welsh milk, ice cream is a mainstay of the local economy and there is a flavour to suit every palate. North Wales offers a heart-melting array of ice cream parlours, packed with traditional and sometimes unusual flavours with a distinctly local twist. Chilly Cow ice creams follows the classic Italian recipe of combining milk, cream and sugar (traditional ice cream contains egg). The ingredients are pasteurised into a custard before being whipped and batch frozen. “We make our ice creams to order using local ingredients so they are always fresh,” explains Anna. Anna, who is also an ambassador for North Wales tourism, welcomes visitors to come and watch the ice cream being made at the farm, which commands views of the Clywdian range. Chilly Cow has just launched a shop on-site serving a sundae of the week and refreshments such as locally roasted Owen & Edwards Coffee in addition to its range of 12 ice creams. “We’re a pitstop for visitors to the area and we’re close to local cycling and walking routes,” adds Anna. David and Jenny Page opened Looking Glass in Llandudno three years ago and have made over 200 flavours since they opened. “We are an old-fashioned ice cream parlour that fits with Llandudno’s heritage,” explains David, who spent his career in fine dining. He has left plenty of space for innovation making all of the ice cream fresh on the premises, in the style of an Italian Gelateria. “One half of the display is for the standard flavours the rest I just let my imagination run wild,” said David, who works on new flavours every day. Buying an ice cream from a local parlour is the ideal way to round off a wonderful day out. These days, it appears, no town in the region is complete without a local parlour making its own ices – just remember that quality is the watchword. “When people spend on ice cream they want it to be a treat,” concludes Anna. Dave Rothnie is a comedy promoter and compere of Stand-up at the Seaside, a monthly comedy club that takes place at The Station in Colwyn Bay.